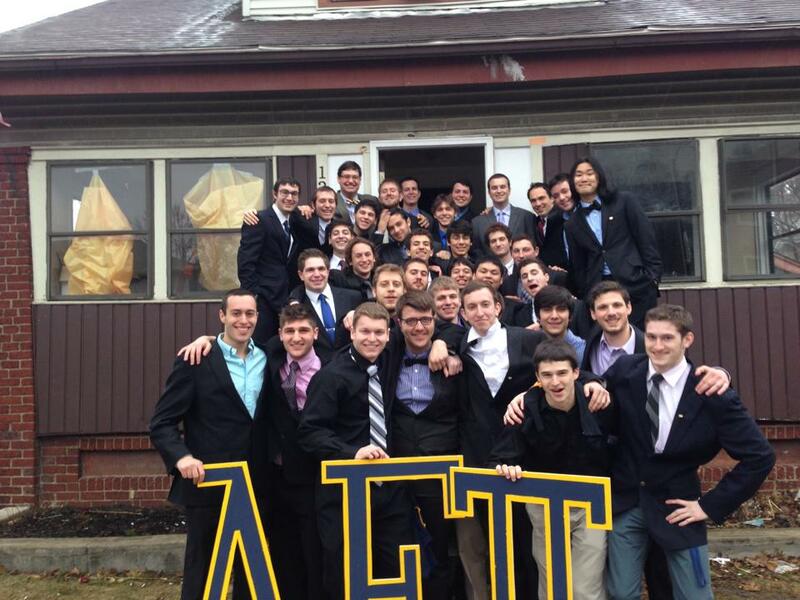 The brothers of the Rho Nu Chapter of the Alpha Epsilon Pi Fraternity welcome you to our website! Browse our site to learn more about ΑΕΠ, the Jewish fraternity at the University of Rochester. Feel free to drop by, our suites are on campus on the second floor of Gale House in Hill Court.If you would like to contact any of the current officers or committee chairmen, please click on the name of the person and fill out the contact form. Tomorrow’s Jewish leaders are in our chapters today. 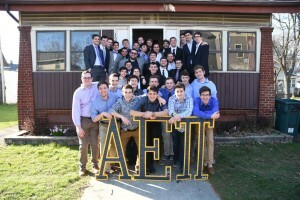 In the fraternity’s 100 year history, over 93,000 men have worn the badge of Alpha Epsilon Pi and each year, over 2,500 undergraduates perform the Ritual of Initiation, which remains the same ritual adopted decades ago. Our brothers pride ourselves on practicing the Jewish ideal of Tikkun Olam, or Repairing the World. We recognize the role the global Jewish community has played in shaping our lives, so we join AEPi brothers from chapters all around the world in raising money through our Repair The World Fund to contribute $100,000 each to ten Jewish organizations: BBYO, B’nai B’rith’s Disaster Relief Program, Gift of Life, Heroes to Heroes, Israel Children’s Cancer Foundation, IDF Widows & Orphans Organization, Innovation: Africa, MadaTech Museum, Simon Wiesenthal Center, and Taglit Birthright. Cumulatively, we will be raising $1,000,000 for these amazing organizations! You can donate at http://www.aepigivesback.org/rho-nu This is tax deductible as well!